Michael L. Strauss, AG – Professional Genealogist, Author, and Lecturer — is an Accredited Genealogist for the Eastern States Region with the International Commission for the Accreditation of Professional Genealogists (ICAPGEN). A native of Pennsylvania and a resident of Virginia, he has been an avid genealogist for more than 30 years. Strauss holds a BA in History and is a U.S. Coast Guard veteran. He is a recipient of a grant from the Foundation for Coast Guard History in Spokane, WA and received a research scholarship from the General George C. Marshall Foundation in Lexington, VA. He currently serves as President of the Virginia Beach Genealogical Society since 2012. In addition he is a published author and is currently an expert witness in kinship estate matters in New York, New Jersey, Pennsylvania, and Virginia. Strauss is an approved genealogist for the United States Army to locate DNA-qualified family members of MIAs from WWII, Korean War, and Vietnam and is a licensed Private Investigator in the Commonwealth of Virginia. 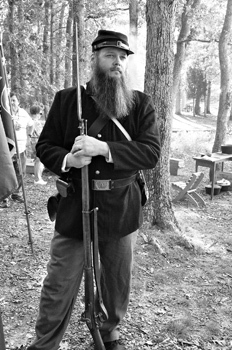 He is a Civil War re-enactor with the 99th New York Infantry. He also likes to appear at lectures in uniform and with real artifacts in order to give the audience the most realistic experience possible. Michael is both an Accredited Genealogist and a licensed private investigator. He would like to obtain his CG as well because he believes strongly in furthering his education. ACTION: Explore educational opportunities and licensing that could diversify and further your career. Would you benefit from obtaining a CG or an AG? Are you interested in discovering what’s involved in becoming a licensed private investigator? Determine what certifications and/or licenses might fit in with your business and future business goals. Next, find out what is involved in achieving these goals. Then plan a time line for when you might realistically achieve these goals. It could be now, in three years or even in ten years. Determine what works best for you.